The Posture S’Port is unique because it anchors at the waist and not only discourages stooped shoulders, but assists in proper spinal alignment. 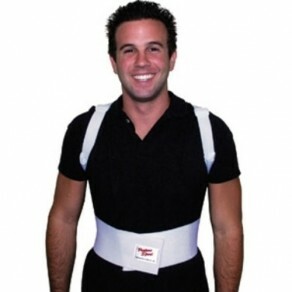 The Posture S’Port can be worn directly on the skin or over a t-shirt. It feels so natural – dynamic and comfortable, not cramping or forcing. Thousands of repeat customers recommend this product for their family and friends!